Gamification is one of the most powerful tools you can use when creating an e-learning course. 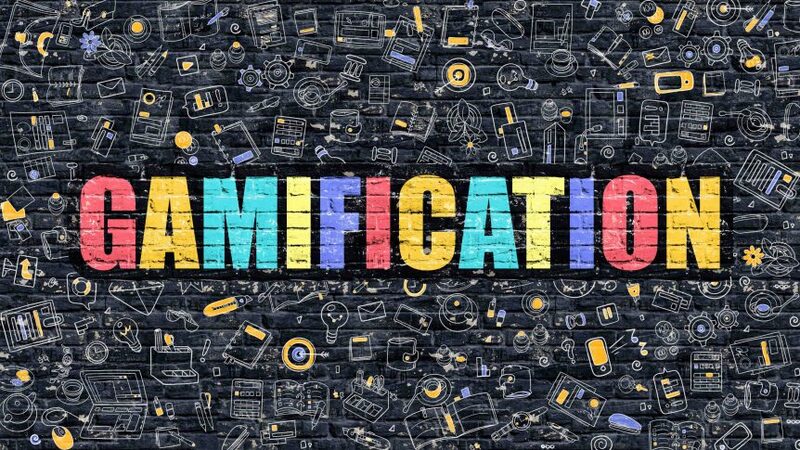 Gamification improves retention rates, increases engagement, and helps you assess the progress of learners, among other things. How can you design gamification elements that get the best possible results, however? Here are our top nine tips. The first thing to do is to understand why you are devoting time and resources to creating gamification elements. After all, adding games is a much more complex process than writing a new block of text, shooting a new video, or uploading a new image. The reasons for adding gamification elements could include helping to make a dull topic more interesting, for example. Another example is to make the content of the course more relevant to the learner. Whatever your goal, make sure you understand your reasons for doing it. The next step is to carefully think about the learner’s goal. A common but often ineffective approach is to get the learner to successfully complete the game in order to get stars or another simplistic type of reward. A much better approach, however, is to create a game that includes a real-world scenario the learner can relate to. For example, put the learner in a simulated situation they might face in real life Dubai. Then, get them to take decisions to achieve a successful outcome, again basing that outcome on what would happen in the real world. In other words, the outcome of their decisions is the learner’s goal. Make sure you also include clear instructions for playing the game. A crucial part of this is to keep the game simple as you don’t want a situation where the learner has to spend a large amount of time learning the mechanics of the game. Instead, your instructions should be clear and digestible in under a minute. Following on from some of the points above, make sure the game is not too hard to complete. Of course, it shouldn’t be too easy either as this will be a let down to the learner. If you make the game too hard, however, you risk frustrating the learner. This could even derail their progress through the course, i.e. a game that is too hard to complete could see them losing interest and, therefore, not completing the course. To avoid this, learners should be able to complete the game with the knowledge they have learned while doing the course. You need to challenge them but make it possible for them to finish the game successfully. Normal games (games outside e-learning courses) often include a sense of urgency as part of the gameplay – this is what makes them so attractive. You should consider using the same trick in gamification elements you include in your e-learning courses.The simplest and most common way of achieving this is to add a timer to the game. Always remember the game is part of a learning experience. This means you should show the consequences of the learner’s decisions and actions. For example, in a game based on a real-world scenario, the learner will need to take decisions throughout the game. There will be right and wrong decisions, and there may even be neutral decisions. The objective, obviously, will be to take decisions that lead to a successful outcome. Whatever the outcome, however, ensure you explain the consequences of the decisions the learner takes. This will reinforce the content of the e-learning course. Gamification elements in some e-learning courses can’t be failed. When the learner does something wrong, makes a wrong decision, or takes the wrong course of action, they will be informed they have gone wrong and will then be helped to get things right before continuing. However, you should consider having a game-over-you-failed scenario where the learner must go back to the start again. This doesn’t work for all types of game but, when it does, the learner will benefit from the repetition. Most people have a lot of experience playing games, particularly younger generations. This means they will expect high-quality design from the gamification elements you include. They won’t expect Mario Bros. levels of quality, of course, but they won’t accept something thrown together either. If you don’t have the design and coding expertise in-house to achieve this, you will need to bring in third-party e-learning course developers. The results will be considerably higher quality, however.